Action Immigration Bonds has been reuniting families in California since 1974. 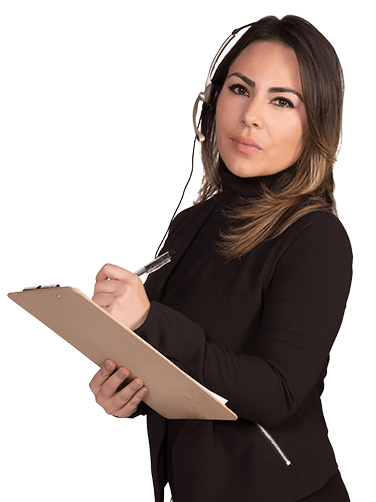 Our multilingual professional Immigration Bond agents are available 24 hours a day. As of data from 2014, nearly 2.6 illegal immigrants live in California. At any time, these individuals may be caught and detained. The full number of illegal immigrants in the United States is currently unknown. You're likely reading this article because someone you love has been detained as an illegal immigrant. In this article, we'll go over immigration bail bonds in California and what you can do for your relative or friend. Can I Get Immigration Bail Bonds California to Release My Relative From Detention? If your relative or friend was caught working illegally or attempting to cross the border, he or she is likely held in an ICE facility. You can get them from the detention center if you're a legal immigrant or a citizen. You will have to follow a series of steps in order to do so. A bail bond is an amount of money that you must pay to the authorities to allow for the release of your friend or family member. Once you've paid the money, you can get it back if your relative shows up to all of his or her court dates. How Much Will the Bail Bond Be? An immigration bail bond usually starts at $1500. For more serious offenses, you can expect to pay even more than that. The Department of Homeland Security, Immigration and Customs Enforcement (ICE) District Director sets the amount. Factors that could up the price will include how long your relative or family member has lived in the United States, their criminal record, their employment history, if their family lives in the United States and if they have other immigration violations. Can I Request to Have the Bond Lowered? Yes. Your relative or friend can request orally or in writing for a lower bond. An immigration judge may request a hearing to change the bond's amount. He or she will make the final determination. You must pay at your local ICE office. You will need to make an appointment to do so. Call the ICE center where your friend or relative is being held. Press 0 to speak to an operator. Ask them if they will accept bail bonds. If so, let them know you wish to make an appointment. You will need photo identification, and to prove you're in the United States legally. You must bring also bring your original social security card. Copies cannot be accepted. If you need a bail bond in order to pay for your friend or relative's release, contact us immediately. We can help you sort out the payment. What If ICE Has Not Set a Bond? Your friend or relative can request a hearing with an immigration judge. At this hearing, he or she can request that they have a bail bond set. Once you've bailed your friend or relative out of the detention center, you must then make an appointment to speak to an immigration lawyer. Your friend or relative will need representation, and to know their rights. For more on immigration bail bond California, visit our site. Just wanted to thank you and your colleges for your good work on bailing out my wife. I found you guys on the internet and had reservations about this whole process, with it being much more complicated than a regular bail bond. Your company does know what they are doing and your insurance company is properly liscensed to perform Immigration bonds as referenced on the Dept. of Justice's list of certified surety companies. Everyone was quick to take my calls, answer my questions and respond to my emails. Just wanted to say thanks and hope that everything concludes happily for me and my family. I'm sorry it has taken so long to write to you, but life has been very hectic since we last spoke. I just wanted to let you know how much I appreciate all your help and support during the time I was going through the process of obtaining an Immigration Bond. This was all new to me and as you know, it was also very stressful for me. But you were very patient with me, and guided me through all the steps of the process to a successful conclusion. No matter how many times I called you, you always took the time to help me and I never felt rushed or pressured. I'm sure you give this wonderful service to all your clients and I hope they appreciate you as much as I do. I hope to never have the need for this type of service again, but I will never forget your kindness and empathy. Many, many "Thanks" and "Good Luck" to you in all you do. I called few places regarding Immigration Bail Bond. I did not feel comfortable with their answers. When I call Action Immigration Bonds, it clicked in my mind that I am at the right place . They got the job in hours not in days, very professional down to the earth. I recommend anybody who needs Immigration Bail Bond; this is the place Action Immigration Bonds. Great job! Keep up the good work.